The stretch between Thanksgiving and New Year’s Day is my favorite time for San Francisco photos. The sun rises and sets farther south on the horizon, so when there’s color in the sky it tends to line up better with my favorite views of the city. And many of the big buildings turn on their holiday lights, including – on some nights – the beacon at the very top of the Transamerica Pyramid. More than ever this year I’m feeling a sense of urgency to get good shots, given that I don’t know when – or even if – I’ll be living in the Bay Area again after my next round of traveling overseas. 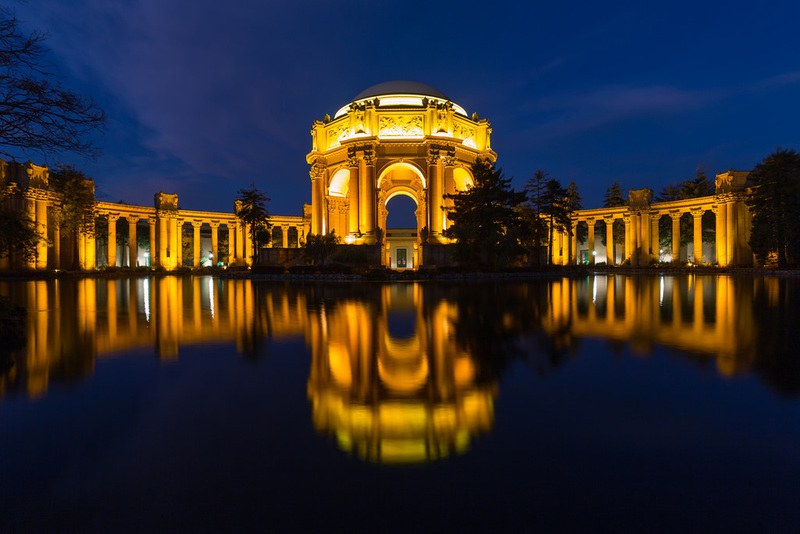 So every day I’m in San Francisco I’m on the lookout for good photo opportunities, especially during the ‘blue hour’ before sunrise and after sunset, when the soft saturated light can really transform a scene. Typically I set my morning alarm for about 90 minutes before sunrise. While still in bed I check a few webcams with different views of the city, and if the conditions don’t look interesting I go back to sleep. Whether to get up or not can be a tough call, and I can’t even count the number of times I’ve lazily dropped back to sleep only to burn in frustration when I find out I missed something amazing. Most of my favorite sunrise spots are on the Marin County side of the Golden Gate Bridge. If low fog is rolling through the Golden Gate I’ll usually head up to Marin Headlands for views of the city with the bridge in the foreground. Lately, though, we’ve had almost no low fog. It’s difficult to predict. Sometimes it decides to roll under the bridge several times in a single week, other times it stays away for months. 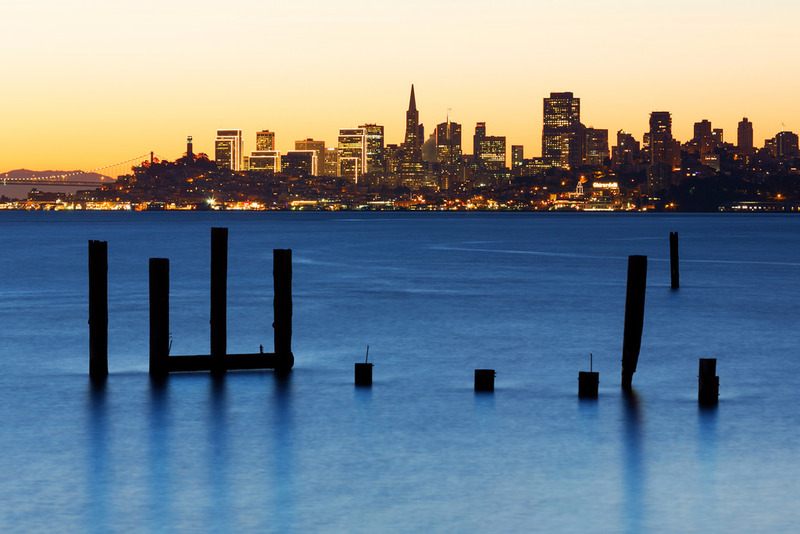 One recent morning, with no fog and a clear sky, I headed to a photo spot I’ve probably been to more than any other: a boardwalk in Sausalito with a great view of San Francisco and some old wooden dock pilings that make the foreground more interesting. I’ve watched well over 50 sunrises from that boardwalk and the light is different each time. On another fogless morning a few days later I decided to revisit the Palace of Fine Arts for a pre-dawn reflection shot. I also try to keep an eye on the moon. There are some particularly interesting photo opportunities when a full moon is rising or setting just before sunrise or just after sunset, where the moon’s brightness is balanced – very briefly – with the rest of the scene. The timing looked pretty good the day before Thanksgiving for a shot of the moon setting before sunrise. 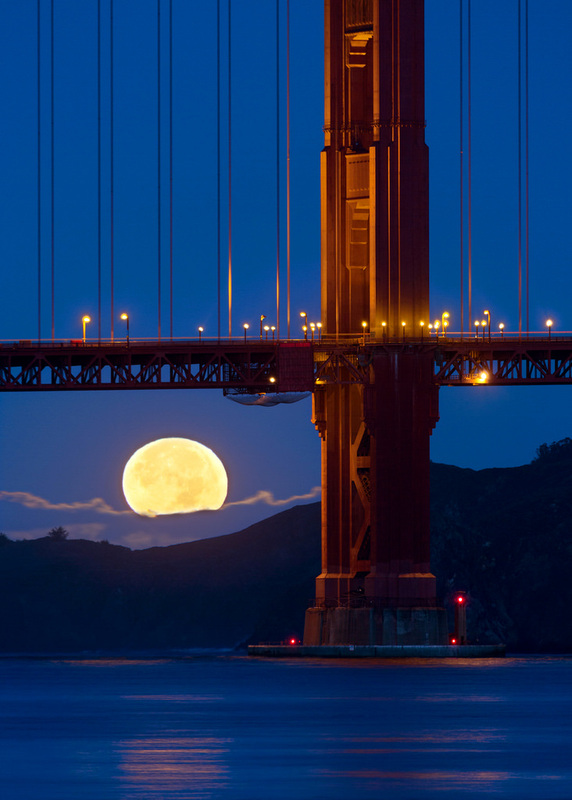 A really helpful online tool called The Photographer’s Ephemeris shows exactly where the moon will be at any given point in time, and based on the angle I decided to position myself at Crissy Field to try to catch the moon behind the south tower of the Golden Gate Bridge. 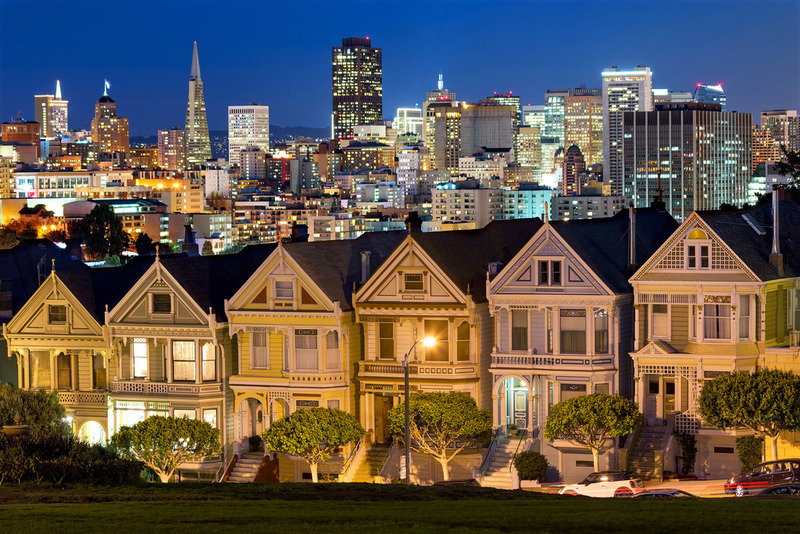 After sunset that same day I tried to get a shot of the moon rising behind the famous Painted Ladies (a row of Victorian houses by Alamo Square), but the angle wasn’t quite right. I settled for the classic, moon-free shot instead. Not long after that I decided to finally take a photo of Lombard Street I’ve had on my list for a long time. 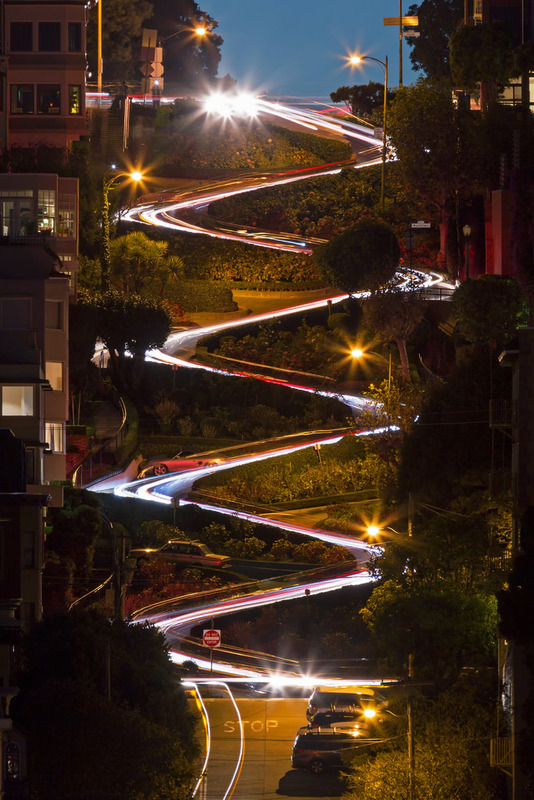 From a nearby hill, with a telephoto lens and a long exposure, you can capture the light trails of cars zig-zagging down the famously curvy part of the street. I’d seen the composition in someone else’s photo, so it’s not original, but I wanted my own version. Willie’s Beach. Great shot and completely different from the one hanging in our house.